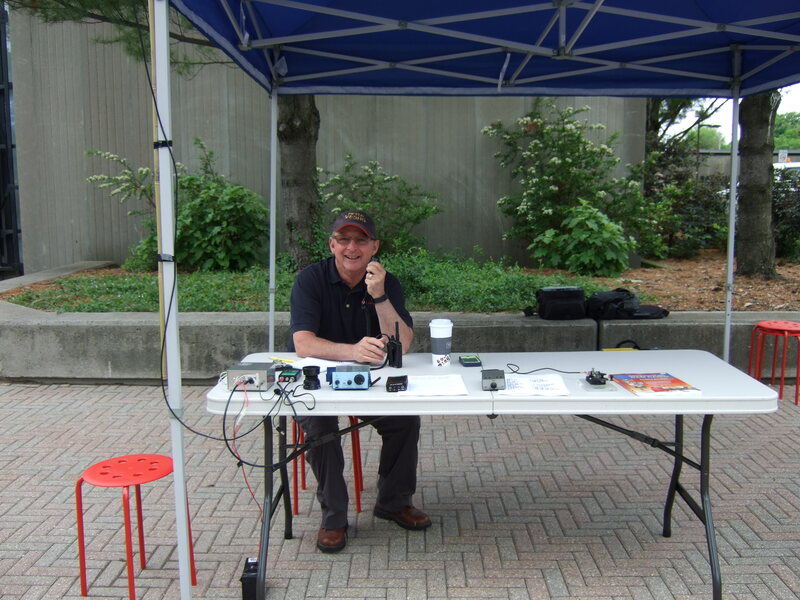 Ham Radio was at the Farmer’s Market and cultural festivities at Centennial Square at the main library on Navy Street in Oakville. I ran a NorCal 20 with the AlexLoop and we could easily hear Europe in the morning and I even worked one guy in Rome, GA later in the day. We had quite few folks stop to ask about Amateur Radio and I had a few handouts about the club which I gave out. I ran an external speaker from the NorCal so the sound of CW wafted over the market. I was thinking of showing digital modes but a laptop in bright sunlight isn’t something that’s easy to see so kept the new laptop (Lenovo ThinkPad bought at Dave’s shop on Kerr Street north of Speers on Friday. BTW it runs the Flexradios easily at home!) in the bag. I would be nice if we had some more guys there to work the equipment and answer questions as we’ve got two more dates when we can setup our display. Also Aug. 1 and 2 we’ve been invited to demonstrate Amateur Radio at the Maker Fair at Toronto’s Reference Library on Yonge Stree.